There’s this tree, actually I think it’s two trees, that I drive by every morning on my way to take Zenna to school. I drove by it everyday last year to pick up my nephew from school. It stands alone in a big field on the side of a playground for a preschool. It drops the biggest piles of leaves in a perfect circle all around it. This year I’ve been watching it. Just waiting for the perfect time to get some pictures of somebody playing in those leaves. 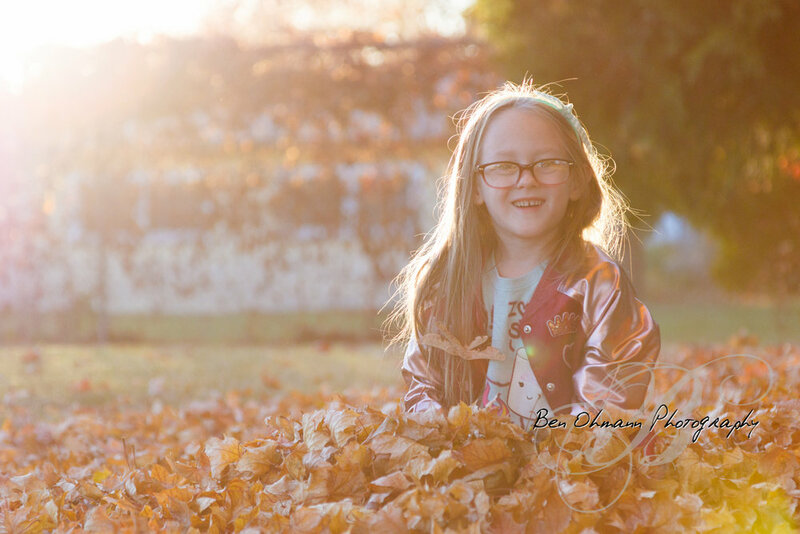 That day was last Tuesday…We decided to do a spur of the moment shoot of Zenna in these leaves at golden hour. Zenna sure had fun running, jumping and playing in the leaves! 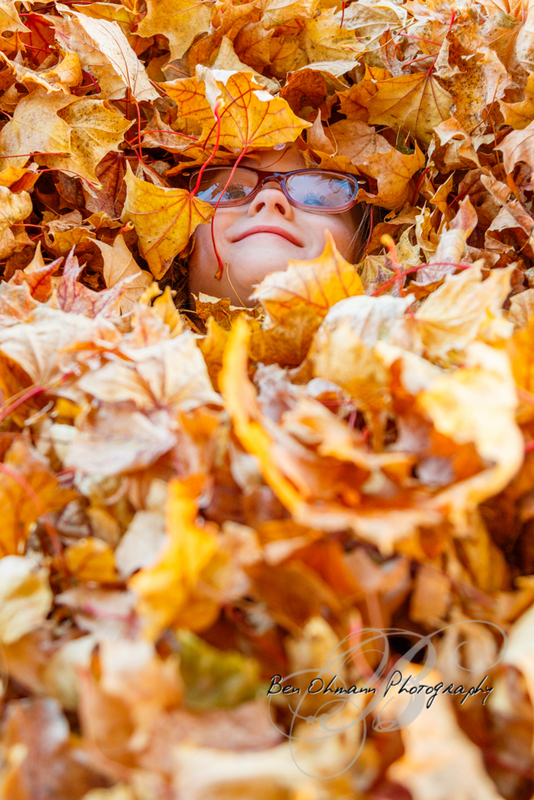 Just look at the smile plastered on her face as she’s about to dive into this pile of leaves at almost warp speed! We just love Autumn leaves! Move over Christmas, because if you ask us, THIS is the most wonderful time of the year! 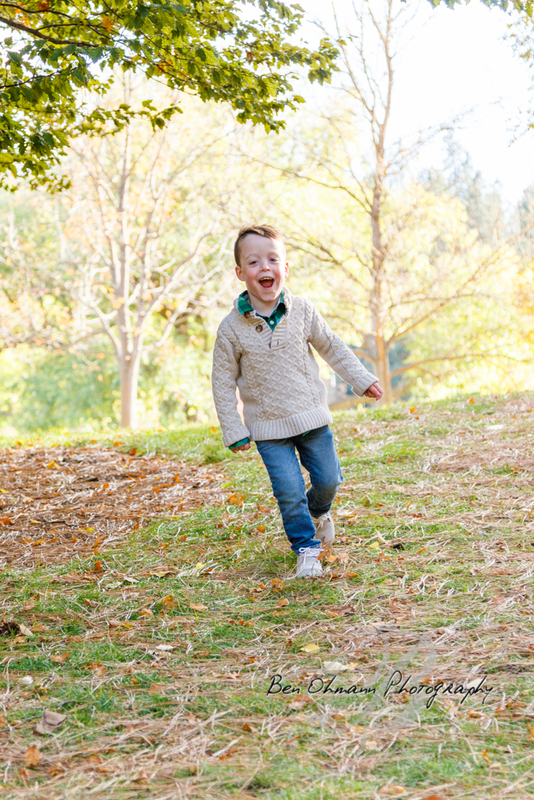 We recently got together with the MacDougall Family for a fun Fall family session in the park. 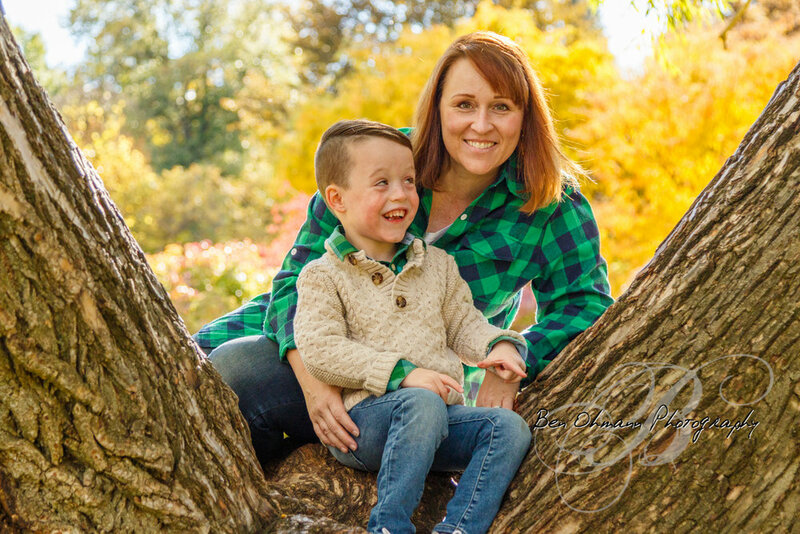 This adorable family were naturals in front of the camera, which we like because it makes our job easier. :) Here are some of our favorite shots from the session. We had a great time with this cute little family and we hope we get to continue to watch them grow and help capture more memories for them in the future! Our favorite little princess is about to turn 6 in just a few short days. Zenavieve decided she wanted to have a Shimmer & Shine themed birthday party this year. So we decided it would be fun to do something a little different and send out video invitations this year instead of paper invitations. We wrote and practiced some lines, set up the green screen in our living room, got Zenna all genie-fied, and started shooting. Here are some behind the scenes shots of our video shoot. To watch the finished version (edited to not include our personal information) click below! 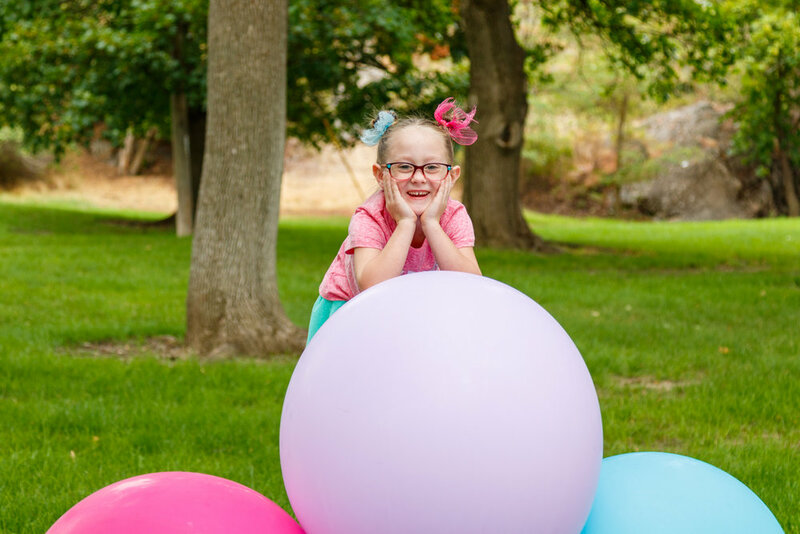 Here are some of our favorite shots from Zenna’s birthday shoot this year. We sure love this little nugget and can’t believe how fast she is growing! We hope you enjoy the video and pictures almost as much as we do!